A man sent to prison for killing his cousin faced the victim's immediate family Thursday in court. Gabriel Maravilla sat with his waist and ankles shackled, and was forced to look at a slideshow of the woman killed. Through a victim's rights advocate, the family of Teresa Maravilla went after the admitted murderer. "I feel that you should know that you are not a man," the victim's husband said in a letter read aloud in court by an advocate. "You are a coward, a criminal that left three young girls without their mother." Then, in the midst of a sobbing courtroom, a letter from the victim's twin 10-year-old daughters. "My family and I are really saddened about my mom's death," the daughters said in a letter read in court by an advocate. "I miss her up to the stars." 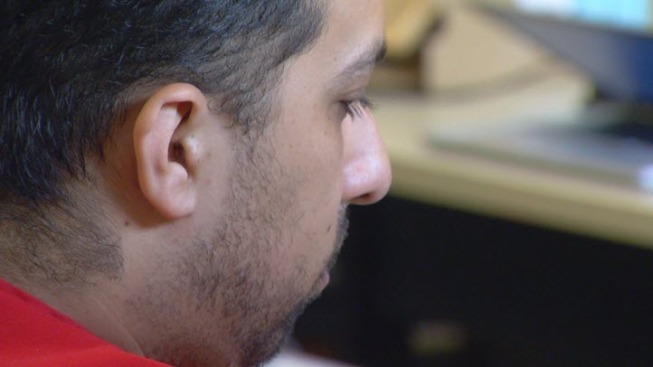 Gabriel Maravilla plead guilty to killing his cousin two years ago. No motive was ever revealed. On Thursday, he listened without expression, tapping his foot throughout the testimony. "Their mother won't be there the day they graduate from high school," said Heidi Ortez, the victim's niece. "She won't be there to see her daughters walk down the aisle." Gabriel Maravilla was sentenced to 25 years to life in prison. He did not speak in court. The victim's father said he is struggling to make ends meet as a single dad and raising three little girls.